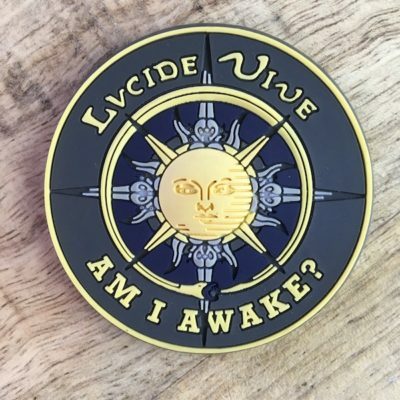 The Lucid Talisman is a unique metal coin that supports your journey towards greater lucidity in waking life and in your dreams. 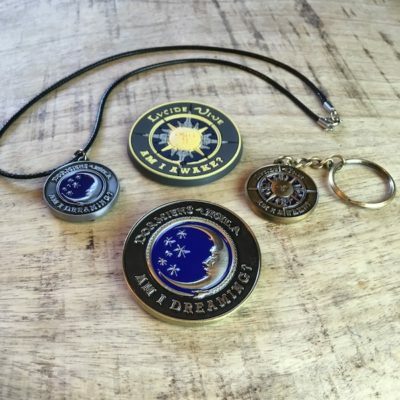 This finely crafted talisman can be combined with mental practices for increasing lucid dreams at night as well as encouraging mindfulness during the day. Comes in blue velveteen bag with instruction card and supportive in-depth instruction by email. 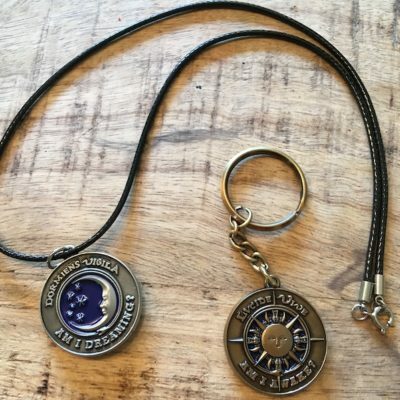 Buy 10 Lucid Talisman and save 20%. 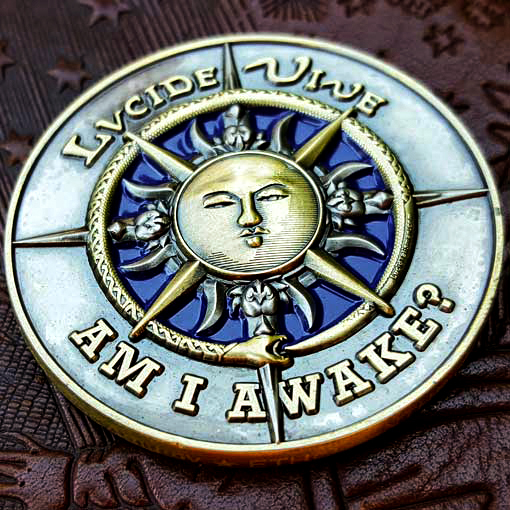 To be “lucid” in a dream is to know you are dreaming, When you are lucid, you can safely participate in your dream with greater self-awareness, choice and creative power. Lucid dreaming is a learnable skill known for centuries but wasn’t scientifically verified until the 1980s. It’s a powerful practice that can harness creativity, banish fears, improve peak performance, and invite mystical truths. 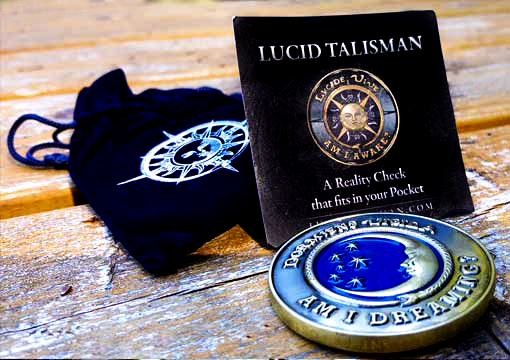 The Lucid Talisman encourages lucid dreams by serving as the perfect “dream totem” as described in the hit movie Inception. Reality Check tool to ask yourself if you are dreaming. Soon you will find yourself doing a reality check in a dream! Mindfulness tool for when you spontaneously put your hands in your pocket throughout the day. Grounding anchor during times of boredom, anxiety or unwanted dissociation. 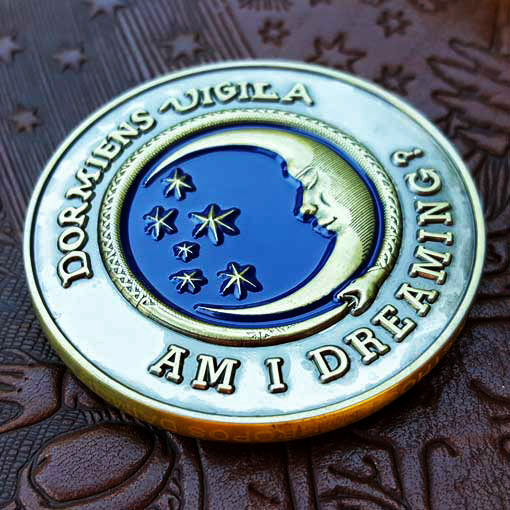 Dream recall tool to remember your dreams before you drift off to sleep. Dream Sign tool for injecting bizarre imagery into dreams and directly spurred on lucidity in the dream! Comforting presence at night for those disturbed by frequent awakenings, sleep paralysis or nightmares. 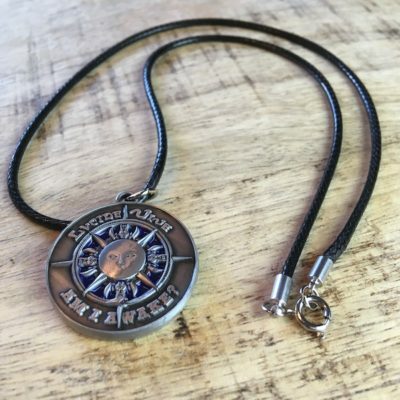 The Lucid Talisman™ is composed of solid copper with a zinc and enamel finish. It’s nickel free. At 2 oz. 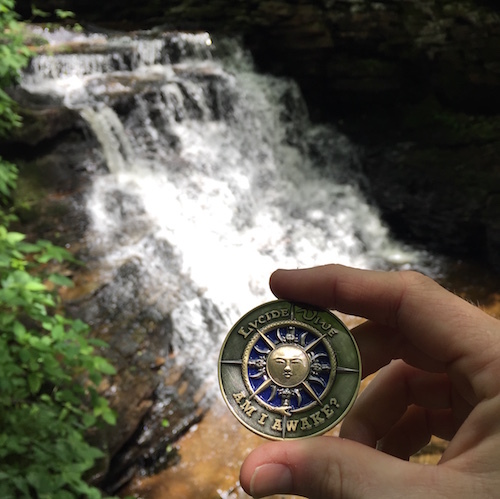 or 57 grams, the Lucid Talisman™ has a comforting heft. It’s 5cm (2 inches) in diameter (wider than the American silver dollar) and 4.5mm thick (thicker than the British pound). Comes in blue velveteen bag with instruction card and supportive in-depth instruction by email. After purchase, get a free 7 day email course on building a successful lucid dreaming practice with the help of the Lucid Talisman. Priority Mail Shipping also available for US customers (includes tracking).